I don't think I ever shared my experiences with the kind ladies who create wigs and weaves from locks in order to repair or cover large areas of hair loss for loc wearers: traditional or otherwise. Gerrylocs were recommended to me by three of my readers and 2 close friends when my hair first started falling out. When I began to explain my hair loss to her, the first thing Gerry said was: "I'm so sorry for your loss - it must be very hard for you". She wasn't dismissive of the personal aspect of things, she was more than just interested in slapping some glue on my scalp and sticking on a (straight) lacefront without considering my desire to have a natural look. She took time to listen to me and find out what was causing the hairloss and what sort of look I wanted to achieve. THAT really mattered to me! Unfortunately for me, due to financial constraints at the time, I wasn't able to invest in a replacement unit for myself but my experience with the owner of Endless Creations (Gerry Mayo) was completely pleasant and professional. There is a South African blogger (Gerrylocs) who is a walking testimony to her work (note: this lady did not suffer from any hairloss) and one of our lovely UK bloggers has also made use of her services. 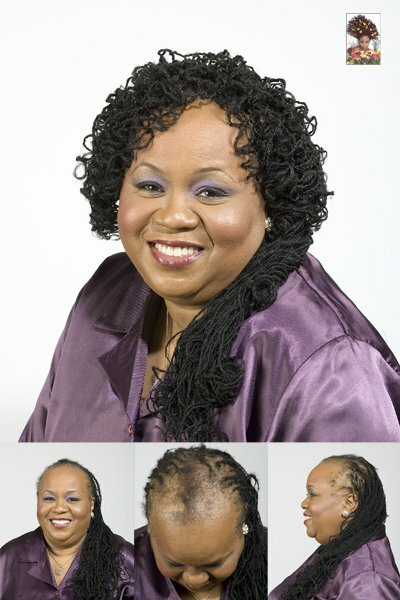 Based on my experience and her references, I would personally recommend Gerrylocs for sisterlocks and micro lock wearers. I came across this other company on facebook today and their portfolio looks good as well. 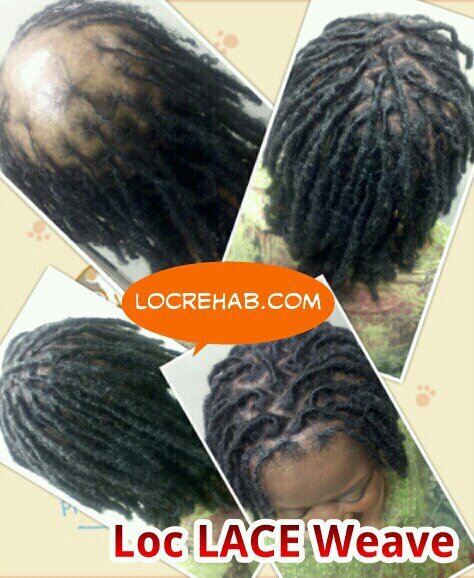 Her name is Andrell Cox and the company is called Loc Rehab. If I can - I plan to interview them both in the near future because I think that'd be a really nice article. If you know of any other companies who are doing lock replacement units (not just lock repairs) let me know and I'll update this post.